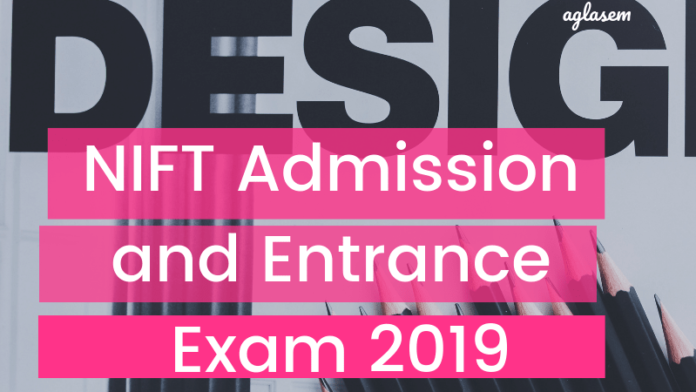 NIFT Admission and Entrance Exam 2019 result has been announced for BDes and MDes exam on March 25, 2019. The result for BFTech, MFTech, and MFM programme was announced on March 06, 2019. The candidates can check their result online at applyadmission.net/nift2019/. National Institute of Fashion Technology (NIFT) offers admission in Bachelor of Design, Master of Design, Bachelor of Fashion Technology, Master of Fashion Management and Master of Fashion Technology. Details of NIFT 2019 admissions are given here for candidates like application form, admit card, important dates, eligibility criteria, etc. Latest: NIFT 2019 has released call letter for situation Test for B.Des Programmes has been released. Click here to download the same. 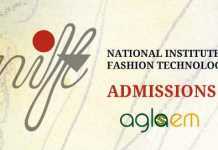 Candidates can fill the application form online from the official website of NIFT. 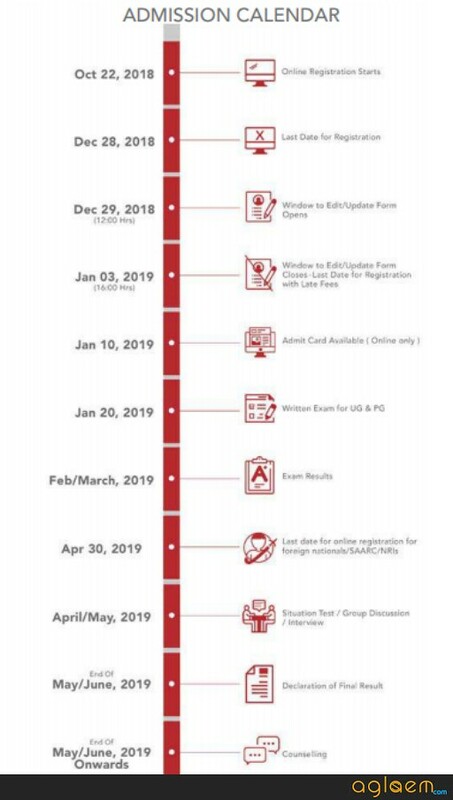 The candidates can check the important dates for NIFT admission 2019 from the table below. Based on the choice, all eligible candidates will have to appear for a written entrance examination at the Examination Centres opted by them. The written entrance examination is designed to test the knowledge, skill and aptitude of the candidates for the programme opted. Group Discussion / Personal Interview for M.Des, M.F. Tech and MFM. B.F. Tech admission will only be granted on the basis of GAT score. Selected candidates will be then asked to appear in the NIFT 2019 counseling round, which shall commence in the month of May/June. The dates and procedure have not yet been released. But candidates must keep themselves updated with the information provided over the website. Candidates will be called for the NIFT 2019 Counseling round on the basis of the merit list. For separate courses, NIFT shall release separate merit list, in pdf format. NIFT 2018 Merit List: Candidates can get an idea of the probable cut off marks for each course, that NIFT offers to different category candidates, from below. 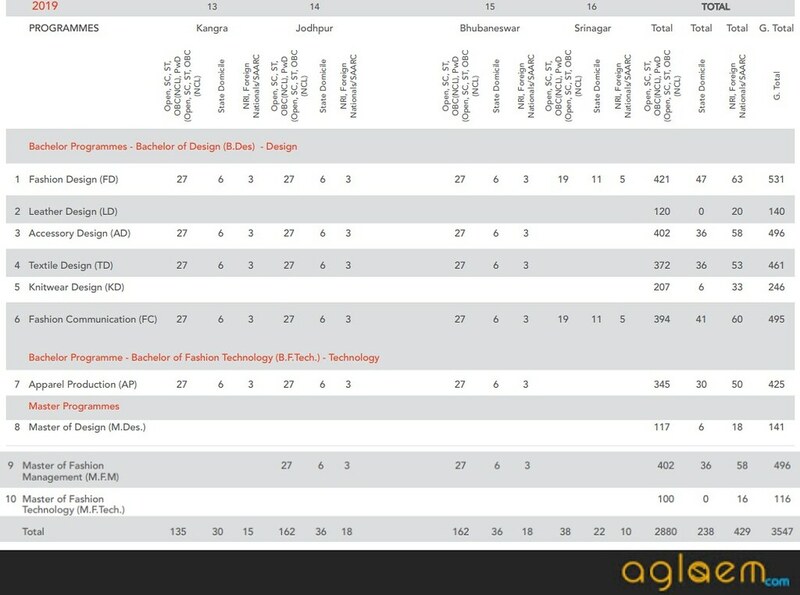 Click here to view the merit list of Accessory Design. Click here to view the merit list of Fashion Design. Click here to view the merit list of Knitwear Design. Click here to view the merit list of Leather Design. Click here to view the merit list of Textile Design. Click here to view the merit list of Fashion Communication. Click here to view the merit list of BFTech. 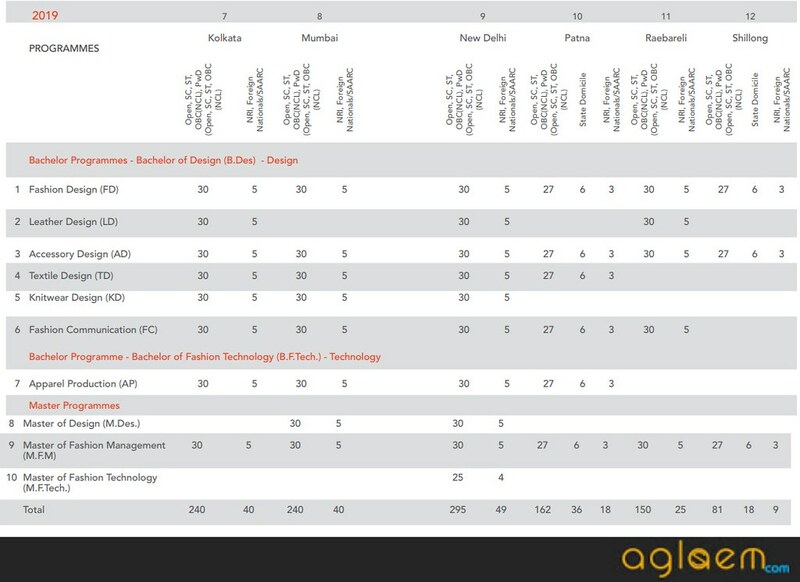 Click here to view the merit list of Master of Design. Click here to view the merit list of Master of Fashion Management. 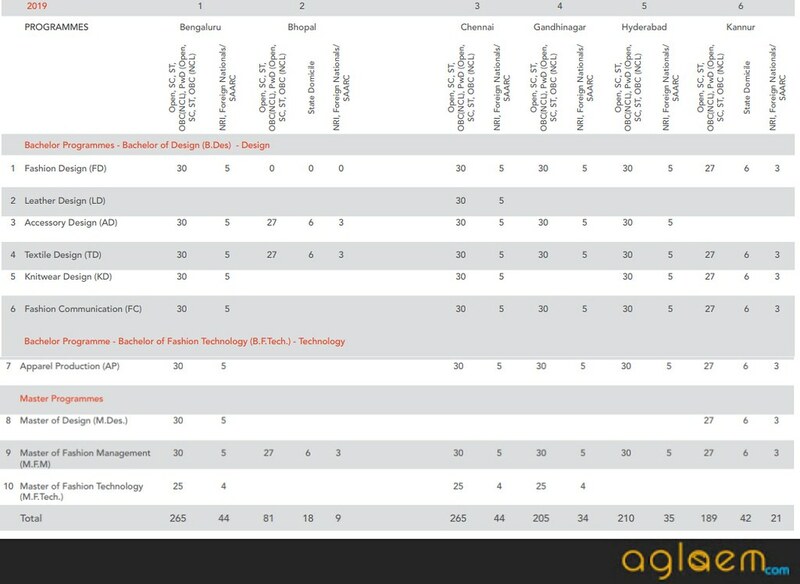 Click here to view the merit list of Master of Fashion Technology. For this round, a candidate shall be asked to report at an allotted date, time and venue, along with a list of documents. All the original copies of these documents, except the medical certificate, shall be returned after the verification round. If not satisfied with the seat allotted, a candidate can withdraw/cancel their NIFT 2019 admission. Before July 17, 2019 – Full fee will be refunded to Indian candidates(except the application fee), whereas 50% of the (except tuition and registration) fee shall be refunded to NRI /SAARC/Foreign National Candidates. After July 17, 2019, but before the last round of counseling – Full fee except for 50% of the tuition and registration fee shall be refunded for Indian candidates, whereas 50% of the (except tuition and registration) fee shall be refunded to NRI /SAARC/Foreign National Candidates. On or After the commencement of the last round – Only security deposit shall be refunded for Indian and NRI /SAARC/Foreign National Candidates. The reservation applicable during the final admission is mentioned below, for all the categories. 20% Supernumerary for State Domicile. 15% Supernumerary for Foreign Nationals/ SAARC/NRI. Candidates will be provided admission only after these documents have been verified. On the day of completing NIFT 2019 admission formalities, a candidate is required to carry original along with one photocopy of each of these documents. If the result of the qualifying exam is yet to be announced, a candidate needs to carry datasheet/admit card of the exam. Bank Draft(s) of requisite fee in favor of “NIFT HO”. Following details needs to be mentioned at the back of the bank draft – Name of the candidate, date of counseling, phone/ mobile no., name of the programme, Category, Rank and Roll Number. Other than these documents, a candidate will be required to download and fill the annexures. Note that, if any of the above documents are in any other language than Hindi/English, an authentic translation should be produced duly verified by the issuing institution/ gazetted officer /Self-attested (original and photocopy) by the candidate at the time of Counselling /Admission. National Institute of Fashion Technology has divided its total number of seats across its 16 institutes and into a different category of candidates. Candidates can have a look at the number of seats available for the 10 courses, that it offers from below. A candidate needs to submit this much of fee to any of the 5 courses, that it offers. The fee breakup of NIFT 2019 admission has been given below. Click here to check the fee structure of NIFT Admission and Entrance Exam 2019. NIFT has 16 campuses across various Indian cities, namely New Delhi, Chennai, Gandhinagar, Kolkata, Hyderabad, Mumbai, Bengaluru, Bhopal, Bhubneshwar, Jodhpur, Kangra, Kannur, Patna, Raebareli, Shillong, Jammu & Kashmir. A candidate will be required to appear and qualify for different admission rounds for each of the courses, that it offers. The candidates must satisfy the eligibility criteria set by the National Institute of Fashion Technology (NIFT) to receive admission. The criteria for each course is as mentioned below. 5 years for SC / ST / PWD candidates. Note: No Upper age bar for PG admission. Possess 3 or 4 year Diploma from State Board of Technical Education or by AICTE. Possess UG Diploma of minimum 5 years from NID / NIFT. B.Tech / B.E Degree from any recognized University / Institute. Note: Candidates may have appeared in multiple SAT/GMAT/GRE examinations prior to 30th April 2019. The highest score among these tests will be taken into consideration for allotment of seat. The GRE/ GMAT/SAT scores should not have been declared before 1st January, 2017 and should be received by the Institute (NIFT) latest by 30th April, 2019. Are You a Person With Disability? Rs. 1000 for SC / ST / PwD candidates. Rs. 2000 for the candidate belonging to all other categories. Candidates can submit the application fee through Debit/Credit Card or Demand Draft. The DD is to be prepared in the favor of “NIFT HO”, payable at New Delhi. 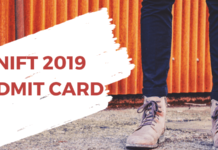 The NIFT 2019 admit card will be prepared on the basis of the details submitted in the NIFT 2019 application. Hence, the candidates will have to ensure that submit all the details correctly. The admit card will be released online. To download it, candidates will need Application Number, Date of Birth, and E-mail Id. The issuance of the hall ticket will not be done offline. However, at the exam hall, it will only be accepted as a hard copy. Creative Ability Test (CAT) for B.Des and M.Des: This test is administered to judge the intuitive ability, power of observation in concept development and design ability of the candidate. An important aspect of the test is the creative and innovative use of colour and illustration skills. Yes Subham . you will have to appear the nift entrance test next year . kindly check the dates . once you pass the test with good marks you will b able to get in to the best nift colleges !